All-day Venetian restaurant, serving northern Italian dishes in a classic setting. In addition to the original London restaurant in Mayfair, Cecconi’s has locations in West Hollywood, Miami Beach, Amsterdam, Brooklyn, Berlin, Barcelona, Istanbul and The Ned in the City of London. Sunday feast served from 12- 5pm every Sunday. All day menu served from 6pm. Excellent food and wonderfully attentive staff. The margarita was top notch as well. It’s one of the best Italian restaurants in London. The food is always on point, fresh and delicious. Ever since I’ve discovered it, my friends, my family and I we all have been coming here for lunch and dinner. Out of all 3 restaurants, the Shoreditch one is my favourite: not too posh, not snobby , just a perfect place to meet with a friend or have a birthday dinner with family. The stuff is really nice and they are dog friendly which is great! Food is good and place is nice but the acoustics are so bad, it is imposible to have a conversation because you can only hear people in other tables shouting. nice dinner, good atmosphere, attentive staff, great location. Experience was great. My only complaint is that we shared 5/6 small plates and they all came at once. Perhaps the waiting staff should ask if people would prefer a staggered service. A really nice environment with great service but the food was very average for the price! I thought the Sunday feast was lovely. The food was delicious, we couldn’t possibly try everything so will be back. The ambiance was great, especially with the live music, such a lovely addition. The staff were very attentive and very polite. I don’t have a bad word to say. We really enjoyed it and will be coming back soon. Good for a casual dinner. Portions are quite generous, we had 2 starters and 2 mains, no room left for dessert. We expected portions to be much smaller so it was a nice surprise. Nice interior finishes and accommodating staff. Lovely food and great wine selection. 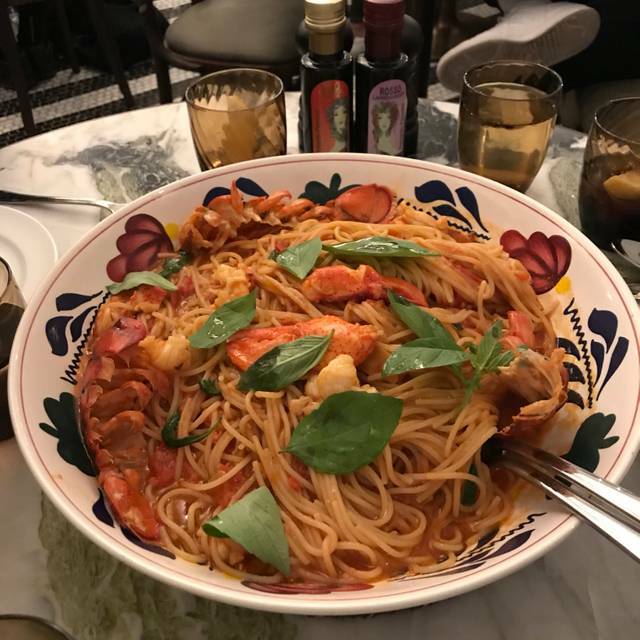 Having eaten at Cecconis in Brooklyn New York and receiving the most amazing service in what can only be described as breathtaking venue, we knew it would be hard to live up to. However, we felt quite rushed as if it was an in and out system. It was a Friday night so it was obviously busy but I don’t think this can be used as an excuse. We were told you get ‘allocated’ a time slot per table which again is fine but a little more care could be taken when relaying this to a customer. Won’t be going back but the food was fine. As we were shown to a centre aisle table there were others avaliable on the side with more comfortable seating. I asked to be seated on the more comfortable seating but was told it was not suitable for 4 people only to find half an hour later that the same table I had requested had 4 people comfortably seated!! Other than that the restaurant and food were excellent . Really great service and atmosphere but some Italian classics were disappointingly absent from the menu! 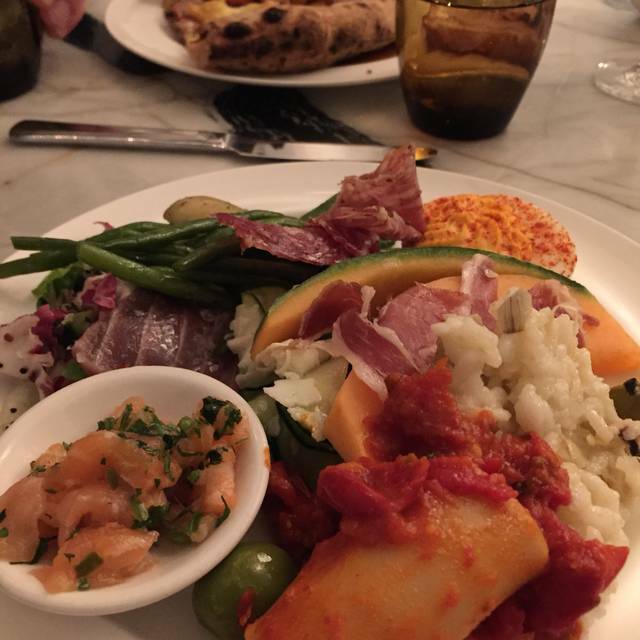 Cecconi's is great - the service is excellent and the food is delicious! I highly reccomend to anyone for a work lunch or romantic meal! It's my third time going here, the first two occassions when I visited the service were good but on third occassion was not so good, staff were not that attentive and take a while to served you, not sure whether it is because its Mother's Day and busy. Foodwise are still good. The Sunday feast is amazing I will be coming back!!! Such good value! Food is fine, but considering the price, we would expected a good service at least. However, waitresses lack of enthusiasm, do not know their menu, ignore you when you try to call them like you are annoying them. Drink a big bottle of water before going if you don’t wanna die a thirst. Spot for a hearty Sunday dinner. The food is tasty and the ambiance is nice but they need to work on the acoustic as it was impossible to hear anyone around the table! Always such a pleasure. Food is fantastic, service is friendly and the decor takes me away! As a friend of cecconis, I get 50% most months which is an amazing offer - I go regularly with clients for lunch. I decided to go in the evening for the first time. The email I have says the 50% off runs to 7pm. My table booking was at 6:15. My usual pasta dish was extremely salty. I flagged to the waiter and he immediately removed from the bill. When I asked for the bill, it showed the full price despite me flagging on my booking that I had a key ring. I showed my key ring and got a revised bill but receive 2 bills. One with 50% off for dishes ordered up to 7pm and another for full price items ordered after 7pm. I said that the email I receive does not have any T&Cs saying that anything ordered after 7pm would be covered. I thought a table booking prior to 7pm would be sufficient. I was told that it was my fault that it wasn’t clear enough and they would not discount anything orders after 7pm. They seem to think they are very clear about how it works - they are not! What a ridiculous system. Fine if they want to work that way but at least tell customers in the email with the offer or at the beginning of the meal before items are ordered. I will be taking my business else where. It’s a shame because the food tams service overall tends to be exceptional. A wonderful vibrant place with very attentive service. Noise levels were a bit high tonight but we actually don’t mind that. Food was excellent and Cecconi’s will be on our list when we next visit the area. Overall a very pleasant experience. The food was lovely, the restaurant has a beautiful interior and a lovely atmosphere. This would be lovely for a date as the tables aren’t crammed in, there’s low lighting with candles making it feel intimate. However, we were really let down with the service despite the abundance of staff. The waitor got my order wrong so I had to eat what I didn't order but then charged me for it! Perfect date night spot, food was fantastic and service was speedy. Great wine recommendation too! Front reception extremely rude and disorganised. Spoor service and the food is not great. Amazing service the staff can’t do enough for you and the food is outstanding. Best Italian you can get in the UK! Great service, great food and really nice wine, loved the decor and the staff were really on it and friendly. I'm fine with some noise but it was a bit too much on the night we went and we couldn't hear each other very well. Upon entering staff friendly and inviting. Drinks seem to take a long time, on both delivery and ordering. This does seem to be the theme in London plenty of waitstaff but only 1 person at the bar. Our waitress was very accommodating and pleasant, though other staff not as quick. Manager seemed more interested in the gossip with other staff members rather that seeing what was going on in the room. All our food was decent with the exception of the zucchini fries, the oil tasted old and fishy either the use the same oil for everything or the oil was fortified. One concern as manager was not paying attention a customer was vaping as we ate. I found this unacceptable! I did express this to him but only came back some what apologetic. I love the one in Brooklyn this one needs more attention to detail. Brilliant from start to finish. Genuinely haven't a bad word to say. Amazing Sunday beast! Great price and outstanding service!